Try lighting up your Halloween by making some Halloween milk jug luminaries. By using some empty milk jugs, a black marker and some holiday lights (that you may already have on hand), you can create these family friendly Halloween decorations. 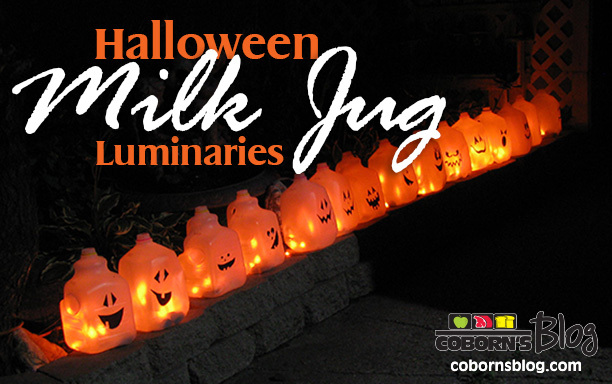 Click here to visit Coborn's Blog to make these Halloween milk jug luminaries and brighten up your Halloween.